with the face plate detached. 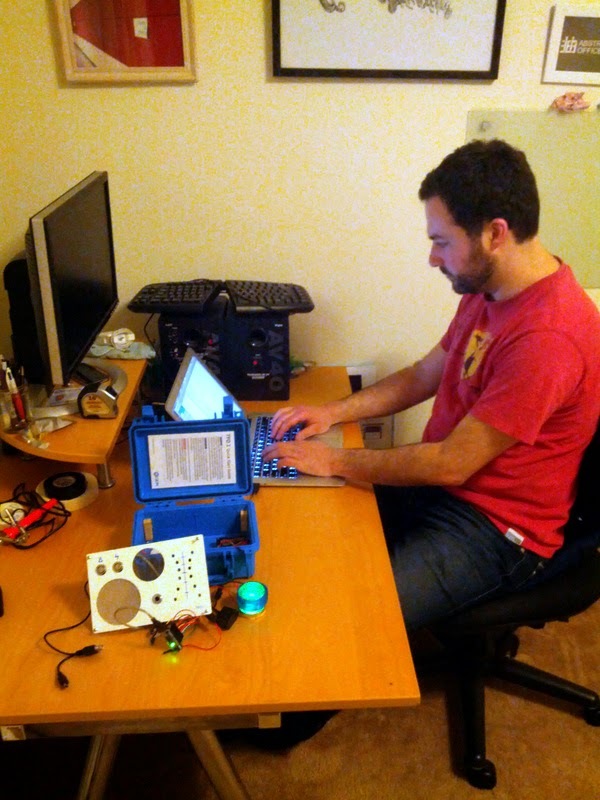 SAN FRANCISCO - The CiDR Engineering Core reports that they are nearing completion of the production model of the TFD 1 temporal field research device. The main fabrication is complete and the software team, lead by Dr. Michael Meisel, is fine tuning the internal systems. The CiDR engineering core expects to begin rolling out these devices by the end of the month. "We're nearly ready to go, the device has passed all of the benchmark tests and we're just making the final calibrations now," said Dr. Nagarjuna Gupta, one of the project's scientists, "This device will help our researchers immensely." The TFD 1 utilizes a micro plasma vortex reactor to charge a small Horologium crystal inside a sealed chamber and generate a small-scale temporal rift. Advanced sensors gather temporal field dynamics data, which is both displayed on an LED readout and stored in internal memory. Data can be synced with an online database via Wi-Fi, with accompanying software. "[The TFD 1] works just like the PTM temporal device from the forties," temporal dynamics engineer Jessica Lawrence said, "Just like computers have gotten smaller, so have temporal devices." Unlike the PTM(Project Time Machine) device however, the TFD 1 uses an electromagnetic induction method for power transfer rather than a direct injection method. This method is a much safer and more efficient power transfer method, ideal for use in low power portable devices. The TFD 1 will also be compatible with external probing devices via an expansion port on the front panel. This will allow for close range scanning. CiDR researchers intend to use this device to study and map multidimensional intersections and temporal anomalies. All data collected with these devices will be synced to an online database, accessible to all CiDR researchers. "I think this device will help shed some light on the inter-workings of our space-time continuum," adjunct research lead Justyn Myers said, "Or at the very least, reveal new mysteries." 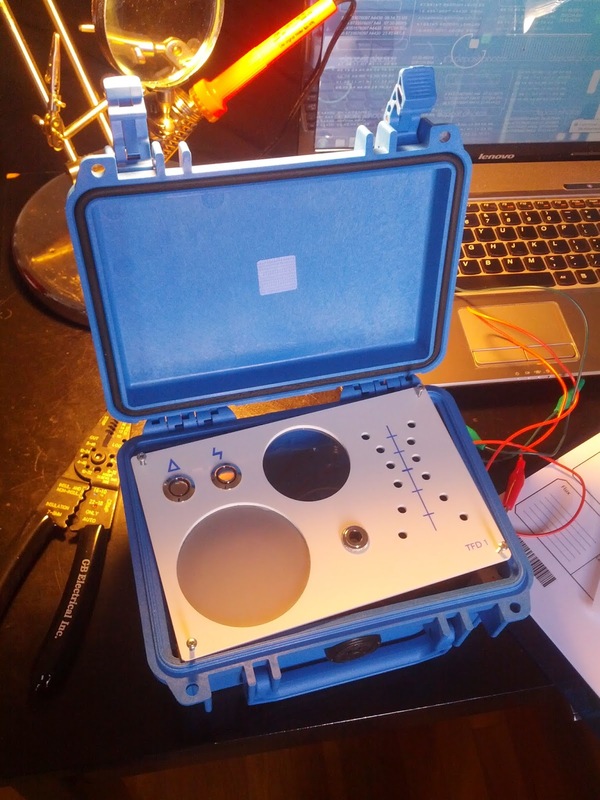 The engineering core plans to produce several of these devices and make them available for loan to CiDR researchers studying temporal dynamics around the world.